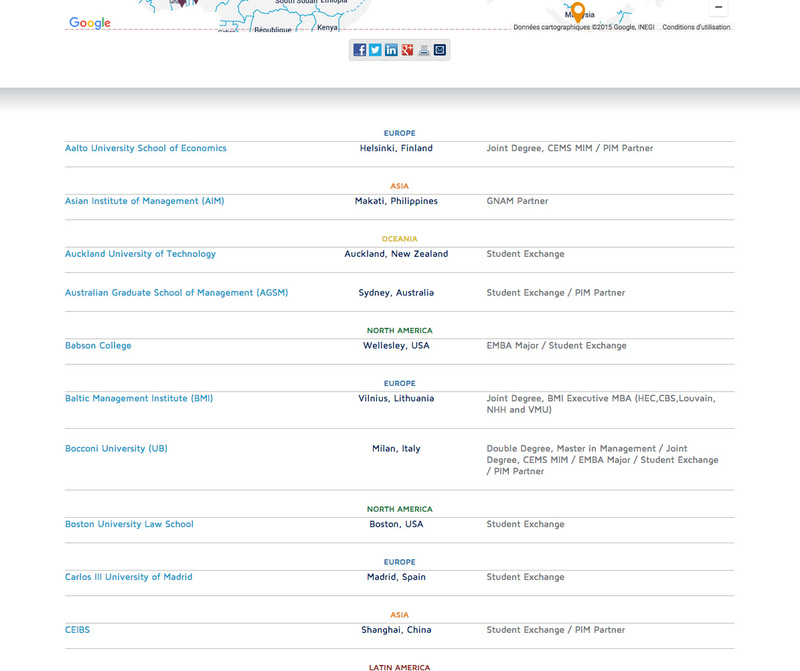 Looking for a MBA or a Student Exchange anywhere in the world? 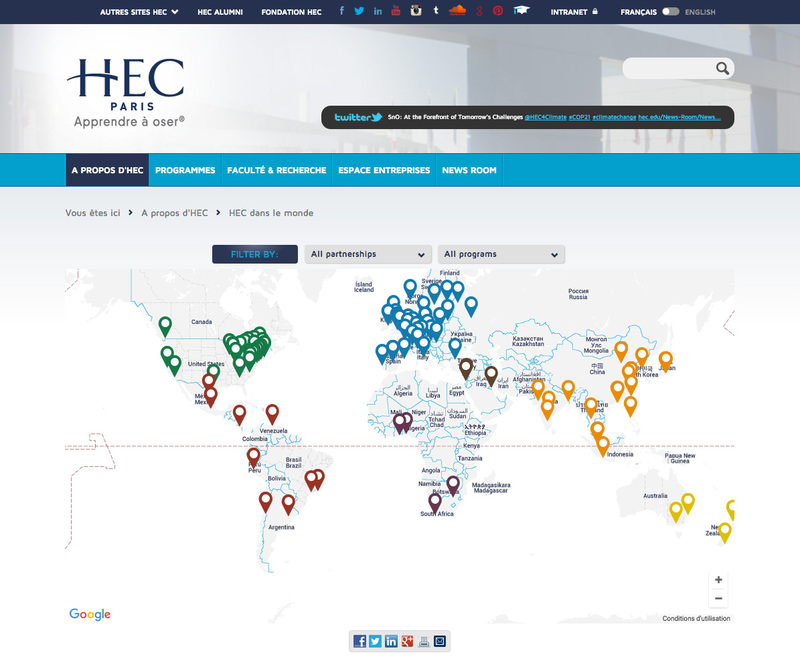 Try HEC Paris’ world map. 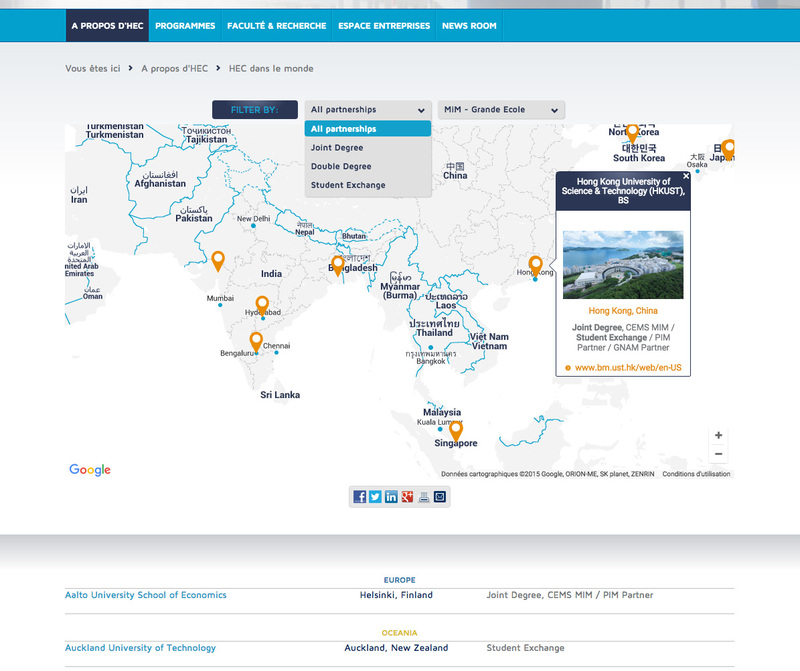 Filtered from Excel, geolocated by campuses, pictured by halls, listed by continents… this Google Map is a 2-day billing project that took 1 year to be implemented. Worth the visit.